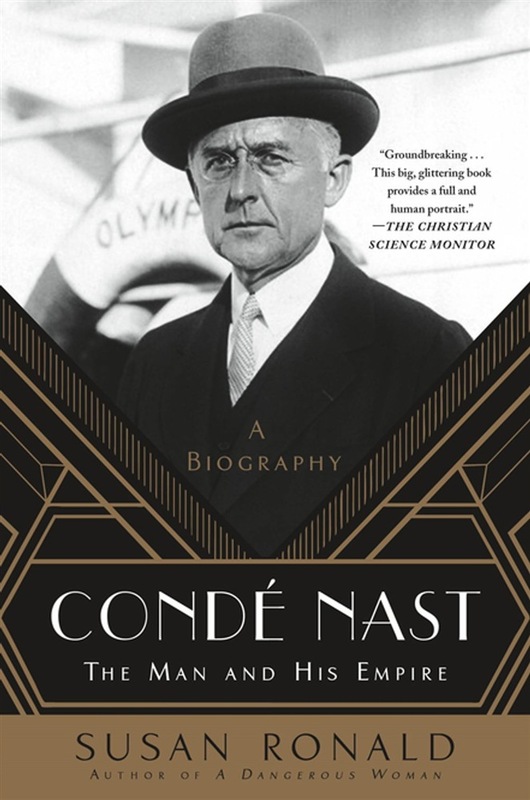 The first biography in over thirty years of Condé Nast, the pioneering publisher of Vogue and Vanity Fair and main rival to media magnate William Randolph Hearst. Condé Nast’s life and career was as high profile and glamourous as his magazines. Moving to New York in the early twentieth century with just the shirt on his back, he soon became the highest paid executive in the United States, acquiring Vogue in 1909 and Vanity Fair in 1913. Alongside his editors, Edna Woolman Chase at Vogue and Frank Crowninshield at Vanity Fair, he built the first-ever international magazine empire, introducing European modern art, style, and fashions to an American audience. Credited with creating the “café society,” Nast became a permanent fixture on the international fashion scene and a major figure in New York society. His superbly appointed apartment at 1040 Park Avenue, decorated by the legendary Elsie de Wolfe, became a gathering place for the major artistic figures of the time. Nast launched the careers of icons like Cecil Beaton, Clare Boothe Luce, Lee Miller, Dorothy Parker and Noel Coward. He left behind a legacy that endures today in media powerhouses such as Anna Wintour, Tina Brown, and Graydon Carter. Written with the cooperation of his family on both sides of the Atlantic and a dedicated team at Condé Nast Publications, critically acclaimed biographer Susan Ronald reveals the life of an extraordinary American success story. Acquista Condé Nast in Epub: dopo aver letto l’ebook Condé Nast di Susan Ronald ti invitiamo a lasciarci una Recensione qui sotto: sarà utile agli utenti che non abbiano ancora letto questo libro e che vogliano avere delle opinioni altrui. L’opinione su di un libro è molto soggettiva e per questo leggere eventuali recensioni negative non ci dovrà frenare dall’acquisto, anzi dovrà spingerci ad acquistare il libro in fretta per poter dire la nostra ed eventualmente smentire quanto commentato da altri, contribuendo ad arricchire più possibile i commenti e dare sempre più spunti di confronto al pubblico online.